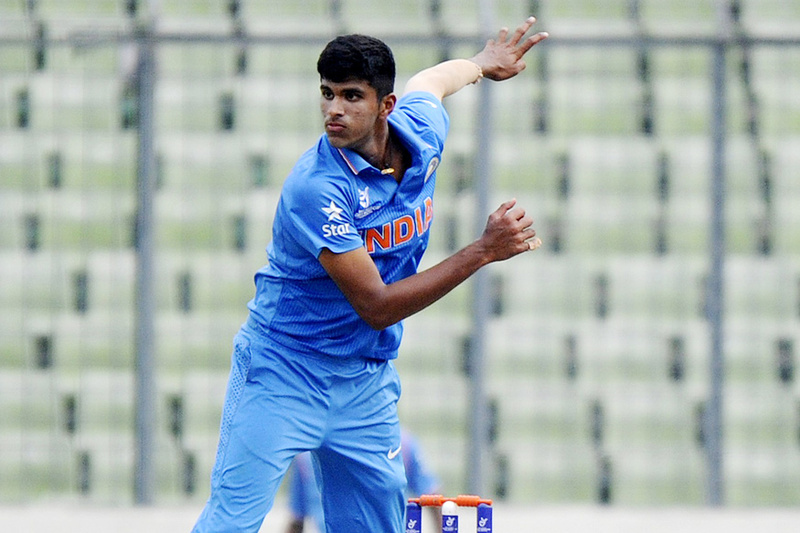 Dharamsala, Dec 9: Teenaged all-rounder Washington Sundar was on Saturday drafted into the India squad replacing injured Kedar Jadhav for the three-match One-day International (ODI) series against Sri Lanka, starting here on Sunday. Jadhav suffered a hamstring injury during training at the Himachal Pradesh Cricket Association Stadium here on Friday, following which the Tamil Nadu all-rounder was named as a replacement. "The All-India Senior Selection Committee has named Washington Sundar as replacement for Kedar Jadhav for the ODI series against Sri Lanka," the BCCI said in a statement. "Jadhav suffered a left hamstring injury during training on Friday and will undergo scans. The BCCI Medical Team will continue to monitor him," the statement added. The men-in-blue will be led by Rohit Sharma after regular skipper Virat Kohli was given a break, keeping in mind the challenging South Africa tour, later this month. India squad for ODI series: Rohit Sharma (Captain), Shikhar Dhawan, Ajinkya Rahane, Shreyas Iyer, Manish Pandey, Dinesh Karthik, Mahendra Singh Dhoni (WK), Hardik Pandya, Axar Patel, Kuldeep Yadav, Yuzvendra Chahal, Jasprit Bumrah, Bhuvneshwar Kumar, Siddarth Kaul, Washington Sundar.